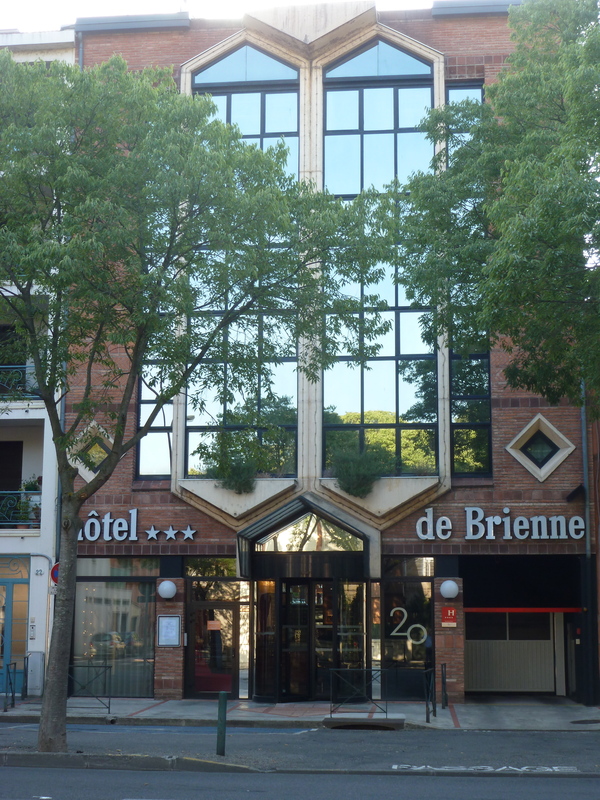 Hotel de Brienne is clean, friendly, modern, and located on a quiet street. Mere blocks away are throngs of students in bars along the river or, in another direction, crowds of tourists (and locals) at the Place du Capitole. Go see both, but leave your car in the free hotel garage and walk. Toulouse is on a big rebuild, so things along Rue D’Alsace Lorraine, the Hotel de l’Opera corner of Place du Capitole and over to Place Wilson are a little torn up. The future in that central shopping area looks good — granite sidewalks and streets are on the way. Meanwhile, it’s another reason to stay a few blocks away and walk over from the Hotel de Brienne. Parking at the hotel’s underground garage is tight — a reminder to rent a small car in Europe. If it’s not crowded when you arrive, back into your spot. You’ll be happier when it’s time to leave. There’s also more room outside in back. I only wish the breakfast coffee had been better. Initially, we were concerned that Room 307 was right by the elevator. No worries. We heard nothing. 307 was remodeled, small but efficiently arranged. Small windows facing the back.